Joel Braxel submitted this one. "Here is a picture of friends Natalie Salvatierra (on the left) and Erin Braxel after their last practice before Esperanza performed at the San Diego Chargers football game in August. 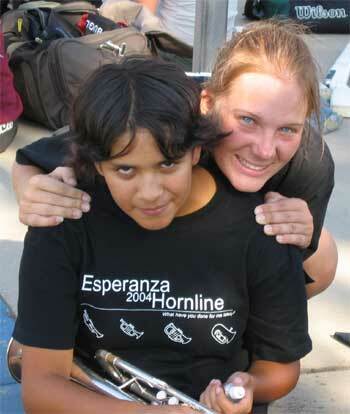 "This was the first year marching with Esperanza, and these girls had the time of their lives! This was especially significant because this was also the first year Esperanza marched as a Division I Corps." Thanks Joel!